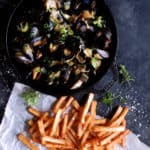 Mussels and fries (or moules frites in French) is a delicious dish that I’m serving with a rich black garlic broth to make it even better. 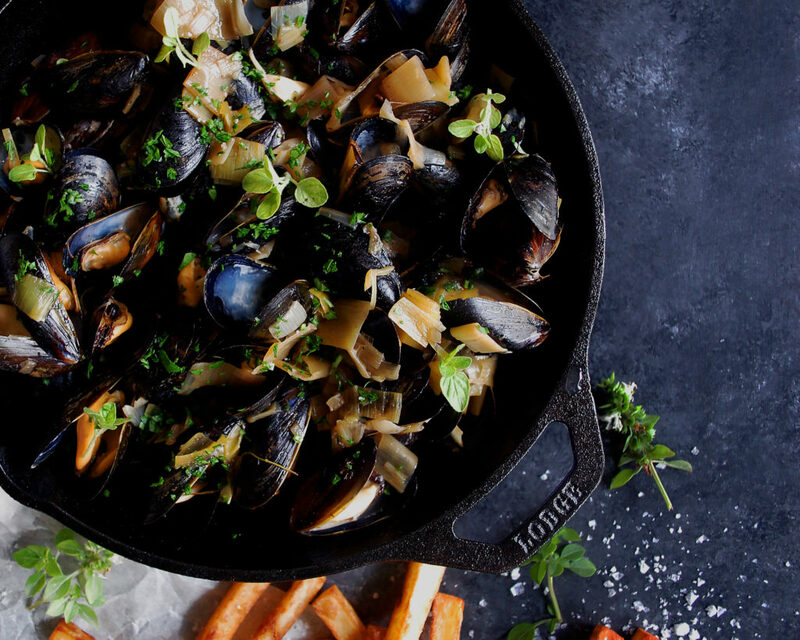 There’s just something about a big bowl of mussels, steaming and smelling so wonderful, with golden, crispy fries on the side that just makes people happy. It’s a very well-known and loved classic dish, and for good reason. 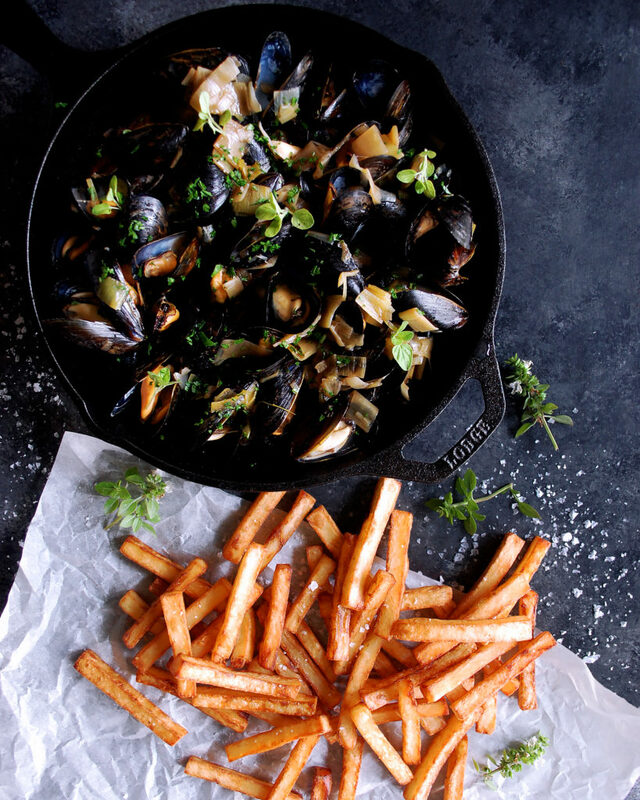 All of the flavor is created in the broth, which acts as a sauce for the mussels, as well as a dipping vehicle for the fries. And oh my, is this broth good. Shallots, leeks, black garlic, white wine, and fresh thyme come together in a really complex broth that’ll make you want to savor every last bite. Enjoy! Coat the bottom of a large pot with oil over medium heat. Add the shallot and leeks. Sauté for about 5 minutes until tender. In a small bowl, mash the black garlic with a fork and add the hot water. Whisk until the black garlic has dissolved into a paste. Add the black garlic paste, white wine, stock, and fresh thyme to the pot. Whisk gently to dissolve. Bring the liquid to a boil. Reduce the heat to a simmer and cook for about 5 minutes. Add the mussels. Cover the pot and steam the mussels for about 3-5 minutes, or until the shells open, shaking the pot occasionally. Remove the cover, add the butter to the pan, cover the pot, and steam for 30 more seconds to let the butter melt. Transfer the mussels to a serving dish. Garnish with parsley and oregano. 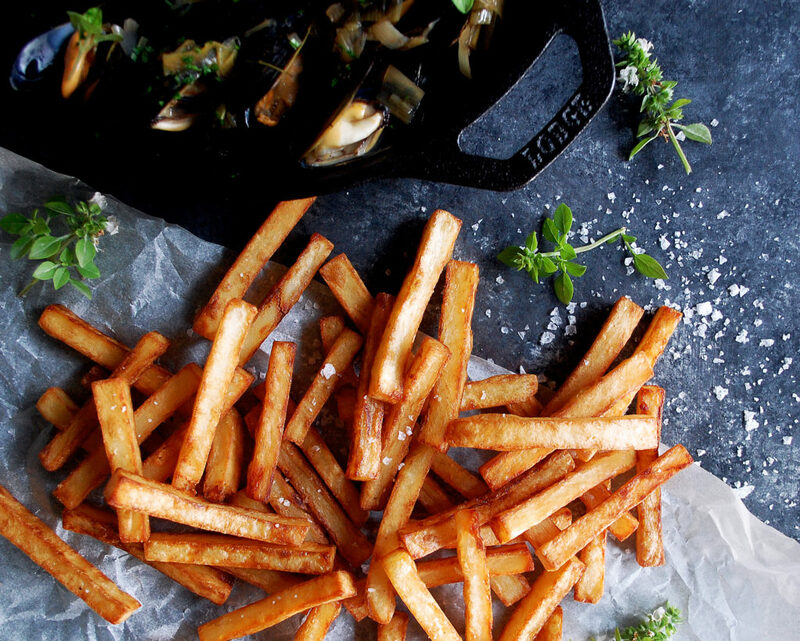 Serve with French fries on the side. Hi, Kayla! Interesting recipe … I wish you had written a little more about your “secret ingredient” black garlic! Do you make your own, or do you buy it somewhere? If you do buy it, where? If you make it, how? Hi Andrew! 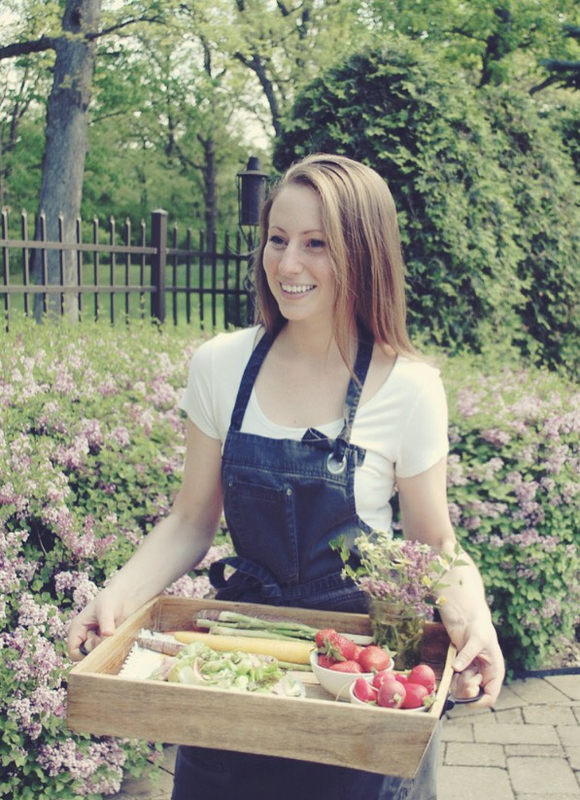 I buy it either at Whole Foods (if they have it..usually a hit or miss) or my local farmer’s market. I’ve always been really interested in trying to make it, though. I’ll keep you posted if I ever test it out myself! It is so, so delicious!